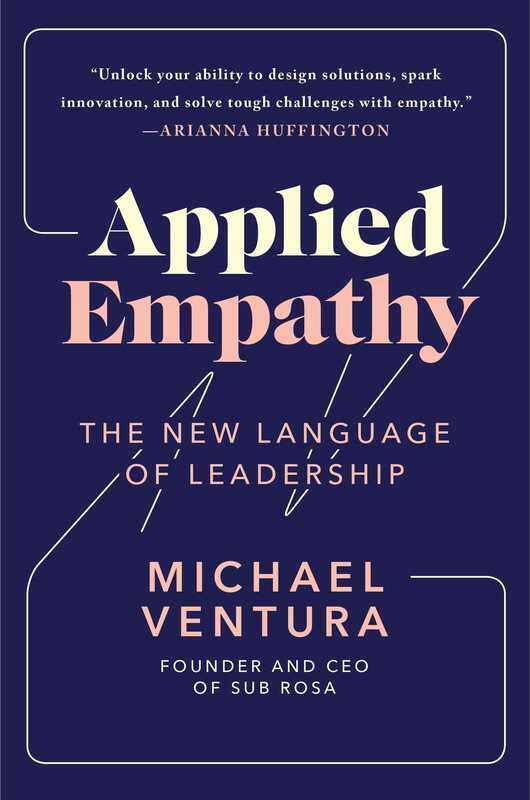 Michael Ventura, entrepreneur and CEO of award-winning strategy and design practice Sub Rosa, shares how empathy—the ability to see the world through someone else’s eyes—could be what your business needs to innovate, connect, and grow. Having built his career working with iconic brands and institutions such as General Electric, Google, Nike, Warby Parker, and also The United Nations and the Obama Administration, Michael Ventura offers entrepreneurs and executives a radical new business book and way forward. Empathy is not about being nice. It’s not about pity or sympathy either. It’s about understanding—your consumers, your colleagues, and yourself—and it’s a direct path to powerful leadership. As such, Applied Empathy presents real strategies, based on Sub Rosa’s design work and the popular class Ventura and his team have taught at Princeton University, on how to make lasting connections and evolve your business internally (your employees, culture, and product/services) as well as externally (your brand, consumers, and value). For leaders of all levels, this groundbreaking guide lays the foundation to establish a diverse, inventive, and driven team that can meet the challenges of today’s ever-evolving marketplace. If you want to connect to the people you work with and for, you first have to understand them. Empathy is a squishy word. Sometimes it’s confused with sympathy or misinterpreted as “being nice.” That isn’t empathy. Empathy is about understanding. Empathy lets us see the world from other points of view and helps us form insights that can lead us to new and better ways of thinking, being, and doing. The words business and empathy are rarely used together—in fact, for some of us they might even sound oxymoronic, but there are incredible benefits to taking on others’ perspectives in the context of our professional lives. That’s what Applied Empathy is about. Empathy is not some out-of-reach mystical power. Instead it is a skill that each of us can make a part of our daily practice and ultimately bring into the organizations we serve. • Understanding your customers’ needs and improving your products and services by infusing them with rich, meaningful insights gleaned from a newfound perspective. • Connecting and collaborating with your teams more effectively—understanding the skills and styles of each person and how to get the most out of your interactions. • Leading with a new awareness that will undoubtedly aid you in not only understanding others better but, perhaps more important, understanding the truest aspects of your own self. Applying empathy may seem obvious for one-to-one interactions, and it is a critical part of any good relationship, but it’s also a powerful advantage when applied at the business level to gain perspective within your company’s walls and in the world within which the company operates. There are countless instances in the business world where companies have missed the opportunity to apply empathy, many of them paying dearly for the oversight. One of the most infamous was Xerox’s fumbled opportunity to lead the personal computing industry. Back in the 1960s, Xerox’s 914 photocopier revolutionized the business world. At the same time, the company’s innovation facility, the Palo Alto Research Center (PARC), was fast at work developing other new and insightful products. One of those was the Xerox Alto, the first fully functional personal computer. It had processing power, a graphic interface, and even a mouse. So why isn’t Xerox a computing juggernaut today? In the 1970s, Xerox’s leadership was largely focused on raking in the massive profits generated by the 914 photocopier—which was not sold but leased to customers, who were charged per page—instead of looking out into the world and using empathy to sense the growing demand for personal computing. They didn’t do anything with the Alto or, frankly, with many of the other great inventions that PARC was churning out. They were preoccupied with their current successes and uninterested in understanding the shifting consumer needs around them. As a result, they missed one of the greatest technology booms the business world has ever experienced. Another more recent example of a lack of empathic leadership can be seen in the music industry’s inglorious failure to participate in the digital music revolution. While executives stretched their travel and expense accounts to the max and obsessed over CD distribution deals with brick-and-mortar retailers, Napster and LimeWire were hard at work building a completely new, and more empathic, distribution system that aligned with consumers and their needs (though not empathic to the artists or the record industry they were disrupting). Missing that opportunity crushed the major music labels’ business and gave rise to powerhouses such as Apple Music and Spotify. Would empathy alone have saved those companies from disaster? It’s hard to say. But had they applied empathy more meaningfully in their decision-making, they could have recognized new and innovative ways to lead their businesses into the next era. Fortunately, plenty of companies are applying empathy to solve tough challenges and lead teams with new and powerful insight. One of my favorite empathic thinkers is Elon Musk. He truly understands the needs of the market and has proven to be a powerful innovator and entrepreneur who can apply his understanding to a variety of industries. Most recently, he’s decided to take on the challenge of “soul-crushing traffic.” His venture, The Boring Company, is solving this problem in an unexpected way. While everyone from Hollywood moviemakers to Ivy League–educated futurists has spent time imagining a world full of flying cars, Musk has taken his vision to a subterranean level, focusing instead on building a technologically advanced tunneling business designed to solve our increasingly gridlocked roadways by expanding them to the ground below us. These companies and their leaders understand how to use empathy to look at problems differently and create solutions that not only disrupt conventions but use empathy as a powerful tool. My own company, Sub Rosa, is a strategy and design studio that works with large, often complex corporations as well as progressive thinkers in government, entertainment, and the start-up world to help them evolve their businesses with empathy. We have worked with some of the world’s most recognizable companies and leaders, and I’m proud that those clients have sought us out because we offer fresh solutions that support their need to explore, learn, and grow. Our clients come to us because we can help them figure out who they truly are, what they are actually trying to accomplish, and, perhaps most important, show them how to take their goals or their businesses to a higher level. • We’ve worked with countless CEOs and leadership teams to think differently about how empathy can ignite a spirit of creativity, innovation, and growth in the hearts and minds of their teams around the world. • We’ve helped one of the world’s most successful athletes understand himself and his brand with empathy—giving him a mission and vision that will take his career to new heights. • We even brought empathy into the West Wing of the Obama White House, applying our thinking to a series of initiatives started by the first family to help bring a greater sense of understanding to our nation’s indigenous people’s rights and resources. Empathy lets us better understand the people we are trying to serve and gives us perspective and insight that can drive greater, more effective actions. The seemingly magical quality of empathy is the connection it helps us form with other people. Some of us are born with an overwhelming degree of empathy, while others are callous or even blind to the perspectives of others. The rest of us fall somewhere in between. But empathy is more than just a natural talent; it can also be a process, a learned skill, developed and applied when and where needed. Applied Empathy begins with my journey of discovery, one that led to an early client assignment that helped those of us at Sub Rosa define who we are and how we approach our work. Through that project and others like it, we developed what we call Empathic Archetypes along with an understanding of the complex world within ourselves that we term the Whole Self. After establishing this baseline of empathic thinking, I will show you how leaders manifest empathy and how they encourage it in others. From there, we’ll continue to dive deeper into empathy, looking at its role in the world around us. We’ll look at its timeless nature, drawing from lessons of the past, present, and future; its application in the context of some of today’s tough business challenges; how it can play a role in evolving our own realities; and why now, more than perhaps at any other time in human history, we need it to solve the challenges lying before us. Our best work demands empathy, and that means each of us must be able to call on it when needed, regardless of mood or circumstances. To help elevate empathy from a buzzword to a reliable, repeatable, and responsive tool, I’ve taken all the lessons and thinking we’ve amassed on this topic and poured them into this book. May it bring to you the same appreciation for understanding it has brought to me. 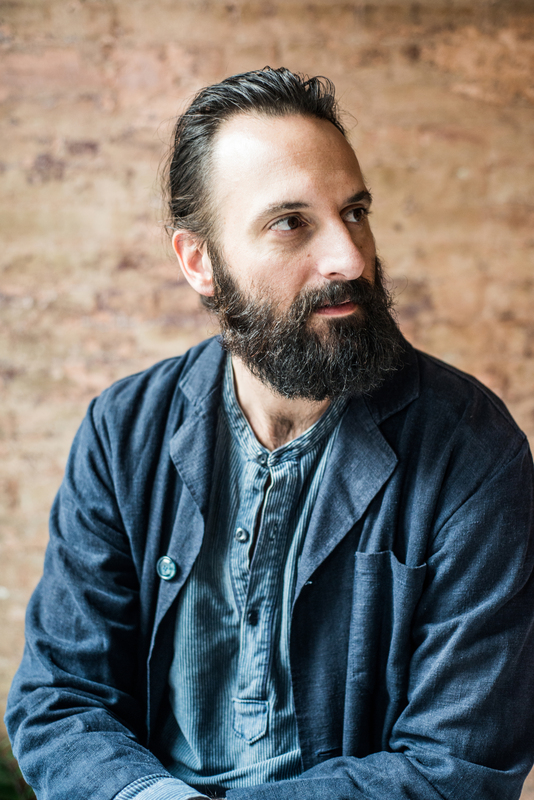 Michael Ventura is the CEO and founder of Sub Rosa, a strategy and design firm that has worked with some of the world’s largest and most important brands, organizations, and startups: from Johnson & Johnson, Pantone, and Adobe to The TED Conference, Delta Airlines, and The Daily Show. Additionally, Michael has served as a board member and advisor to a variety of organizations including Behance, The Burning Man Project, The Smithsonian’s Cooper Hewitt National Design Museum, and Tribal Link Foundation. He is also a visiting lecturer at institutions such as Princeton University and the United States Military Academy at West Point. In addition to these pursuits, Michael leads a thriving indigenous medicine practice where he works with patients to help them address illness and injury of all types, on the road to better well-being. A passionate entrepreneur, he also owns and operates a globally recognized design store in New York’s West Village with his wife Caroline. Applied Empathy is his first book.